Last year, we announced our intentions of bringing bite-size experiences of the design process to a generation of young creators. Private Beta invitations were sent out in waves to more than 4,300 registered individuals. We have since gotten off to a great start with around 1200 active creators. Since then, more than 4,400 models have been made, and we have been able to enjoy works from individuals of all ages! As we developed our apps throughout the year, we invited kids from around our community to test them and give us honest feedback. We learned that kids are amazing learners and there is no better way to learn than through play. Our ecosystem of apps allows creations to grow from one app to another, evolving as they are developed. Players can choose to start their creations from scratch. They can also choose to start with a shared creation that they are inspired by and build upon it to make it their own. As these creations are shared again, they are tracked as “Riffs” of the original. Players can follow the evolution of an idea from its origin to various riffs. As these players explore the apps, they find new ways to be creative and new ways to express themselves. In our effort to minimize tedious workflows and maximize the fun, we have been fortunate enough to work with an incredible 3D printing company, Sindoh, based in South Korea, to prototype a more seamless way of printing in 3D directly from an app. 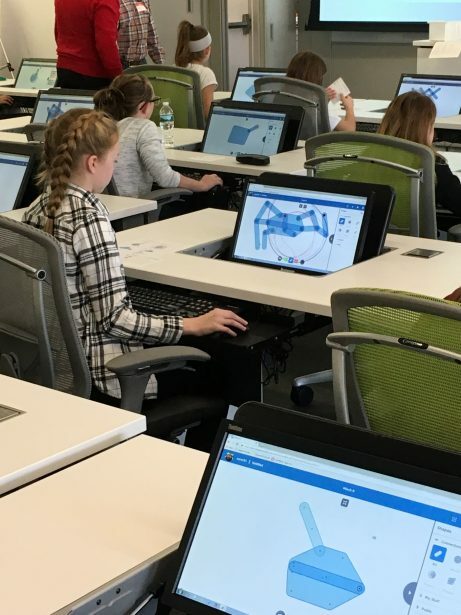 We have begun developing a 3D Cloud Print workflow to allow SOLIDWORKS Apps for Kids to send model data over the internet to a linked Sindoh printer anywhere in the world. It can be in the next room in your house or half way around the world in your pen pal’s classroom. Now for a sneak peek at one of the new apps we are working on, an app that will take the creations made in Shape It to yet another level… gaming. 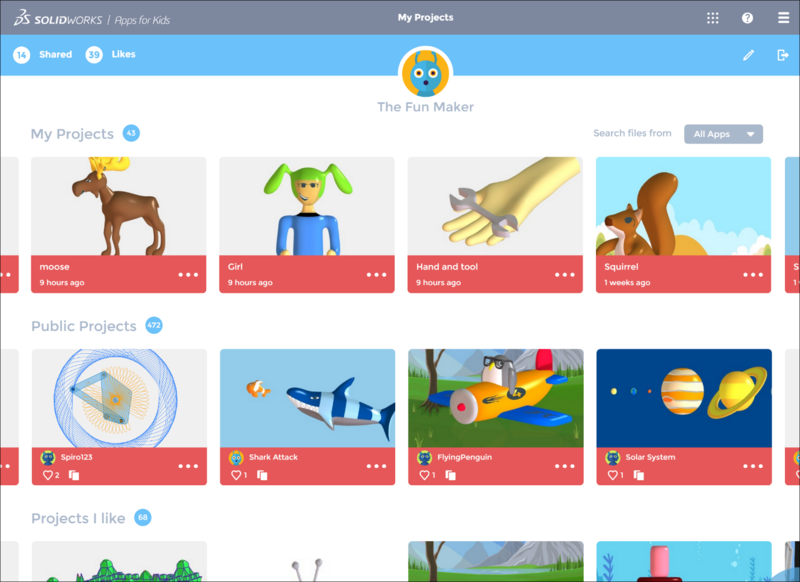 Game It is our latest app that lets you take models designed in SW Apps for Kids to create your own video games. With the ability to choose your scenes, heroes, prizes, health kits, obstacles, and bosses, you can customize to your heart’s desire to get just the right game play before sharing it with the community and challenging your friends. As you can see, there is no shortage of creativity and passion in the world of SW Apps for Kids development. We hope to bring the best that we can provide to our future designers. Thanks and keep your passions alive. Senior User Experience Designer for DS SOLIDWORKS. I am a mechanical engineer, interaction designer, artist, tech geek and most importantly, a mom.